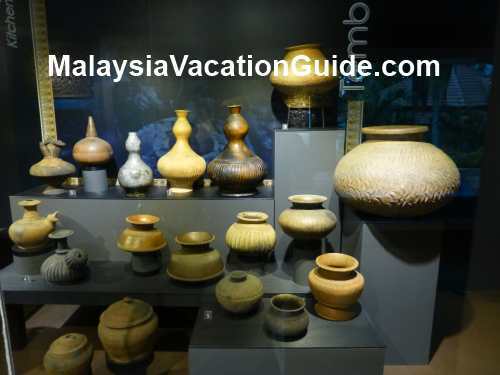 The Malay World Museum or also known as Malay World Ethnology Museum is located just beside the "Muzium Negara". 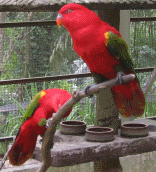 Many visitors do not visit this museum because it is not widely promoted compared to the National Museum. Admission to this museum is FREE hence if you have only an hour or so to spare, we would suggest that you visit this exhibits and come back another time to visit the main museum. 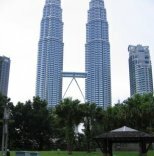 This permanent-themed museum was opened to the public in March 2002 and has been operating since then. 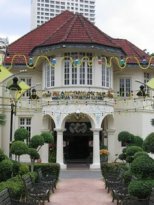 The building itself is built following the traditional Malay house. 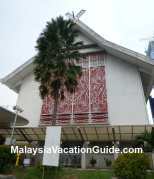 This single storey exhibits will help you to understand more about the Malay culture. 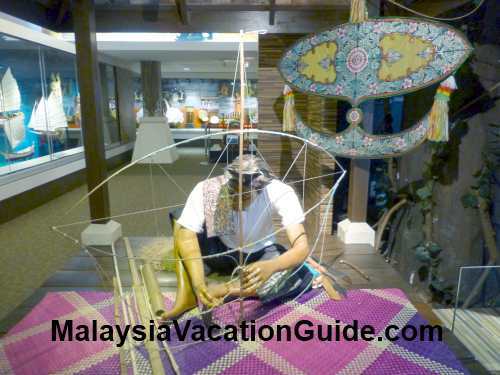 As you enter the museum, you will see the diorama of a man making a traditional wau. 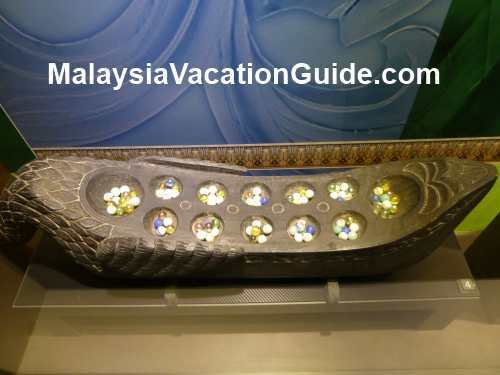 Other diorama you will encounter include a Malay traditional village, a shadow play theatre, a Malay wedding dais, a man playing top spin and a woman weaving "mengkuang" leaves into a colourful mat. There are many other well preserved artefacts which you can admire here. Here are some of them. Musical Instruments are used for ceremonies such as during wedding, coronation of Sultans and King and performances. 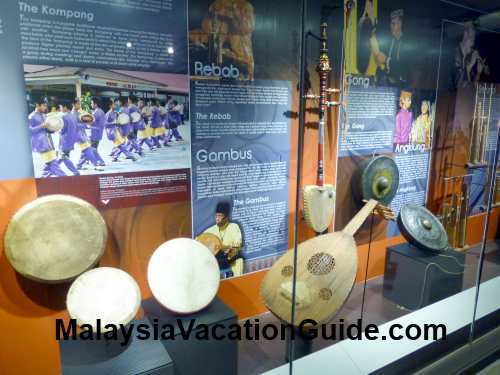 Some of them that you can see and read about include "Gambus", "Serunai", "Kompang", "Angklung", "Rebab" and "Gong". Shadow-Play or "Wayang Kulit" diorama is seen here. Notice the many musical instruments that are used to accompany the play behind the stage. The character of each puppet is hidden behind a screen. 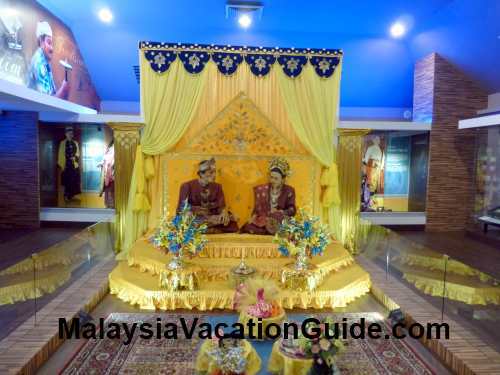 Traditional Malay Dance, Bridal Costumes and Malay Dress are described in greater details here. 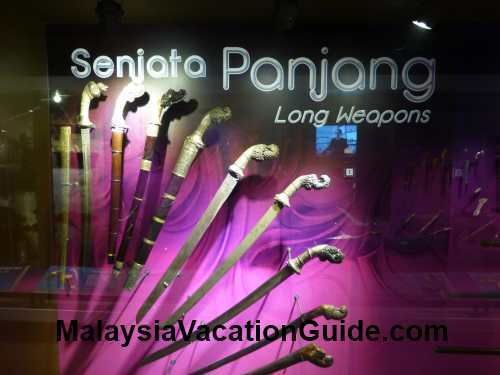 Weaponry such as cannons, Malay Short Weapons and Malay Long Weapons are on display here. 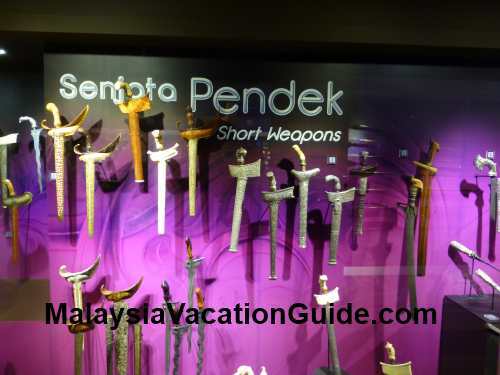 "Tombak", "Keris", "Lembing" and the art of making the "Keris" can be seen here. Take your time to read the information that is on display beside each weapon. 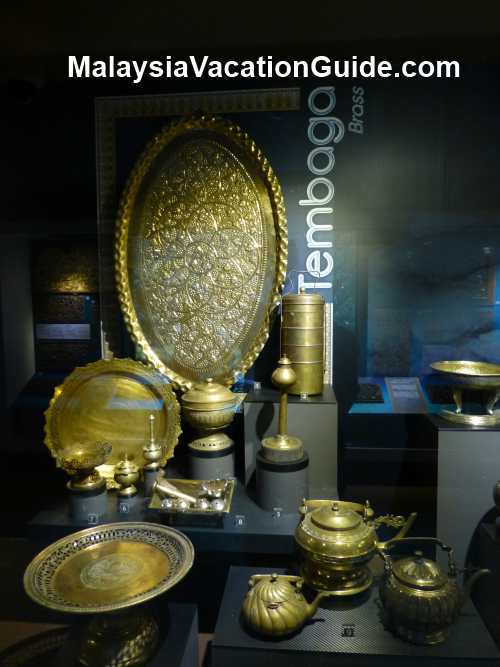 Utensils that are made from silver, brass and nielloware for various applications are still kept in good conditions. 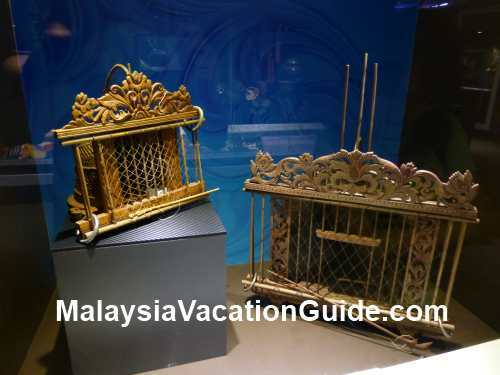 Woodcarving in the Malay world shows the intricate and detailed craftmanship of the peoples even though they do not have machines to help them. Of particular interest is two quail traps that are on display here. See the traps that had been beautifully crafted. Potteries are another section that you can look at. The complete range of sizes for various use can be seen here. 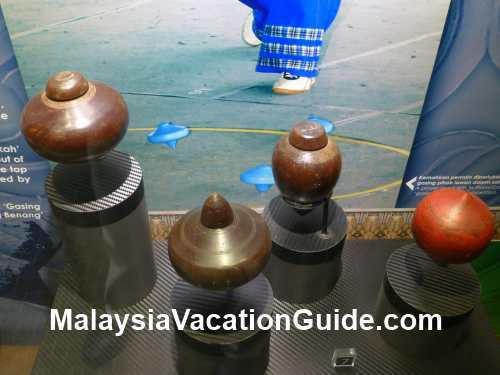 Traditional Games such as top spin, kites, congkak and "Sepak Raga" which has become an international game played by many countries are described in greater details here. See the instruction of coming to the National Museum and you will be here in no time.